One of my favorite ways to show how much I appreciate your business is to reward you for choosing my voice for your projects throughout the year. You can start earning rewards points right now in my Client Loyalty Rewards Program. If you prefer to only receive cash discounts, just let us know and we’ll make note of that. The more you hire me for voiceover projects throughout the year, the more rewards you’ll receive. And you don’t have to keep track of anything! We’ll note your reward point balance on every invoice we send, so you’ll know when you can expect your next discount. Reward Points never expire. We will update you of your current Rewards Points balance every time we send an invoice. If you’d like to know your balance at any time, just email support@debbiegrattan.com. 1000 points = $50 credit/discount off your next project OR a Rewards Gift (gift basket style treats and goodies from our favorite vendors) will be sent out to your office. Value of gift may exceed $50 depending on how many points you have accrued. You may have the opportunity to earn bonus reward points for other actions, such as posting a review or referring a new client our way. Watch for special email announcements for these types of promotions. As mentioned, your rewards point total will be noted on every invoice you receive. You may also receive monthly or quarterly reward point updates that also let you know about any special promotions we’re running. You can check your points balance at any time by sending an email request to support@debbiegrattan.com. Once you reach the redemption threshold, we will send you a Rewards Gift or apply a Service Discount ($50 value) to your next invoice. We understand that some clients pass along our invoice to their client, but may not want to pass along the discount. We can accommodate those instances; just let us know and we can make the necessary invoice revisions. Points become redeemable once payment has been received by Debbie Grattan Voiceovers. For example, if you hire Debbie to record a project for $1000, you will be able to cash in those points after we have received payment for that project, on the next job that we do for you. In certain circumstances, we will not be able to award points for projects that have already been discounted (sometimes known as “double-dipping”). We will alert you at time of price quoting if a job does not qualify to be included in your rewards points balance. We will also confirm that when we send you your invoice. Also, if your payment is received more than 60 days after the invoice date, that job will not be eligible to be included in your rewards points balance. We will remind you of payment due if payment is still outstanding after 30 days. The Rewards Program applies to jobs completed by Debbie Grattan only. 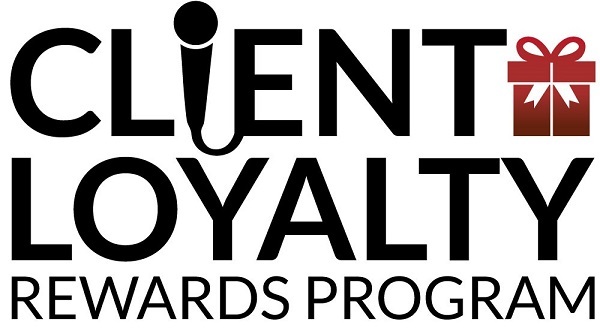 Rewards points are not awarded when you work with other voice over talent who are affiliated with Debbie Grattan Voiceovers (example: child or teen voice actors). To be eligible for Debbie’s Rewards Program, you agree to receive monthly email updates from Debbie. Updates include special voice-over service discounts, information about the Rewards Program, VO-related information and other content of wide interest and appeal to our customers and audience. Contact Paul at support@debbiegrattan.com or call/text 269-340-4674.